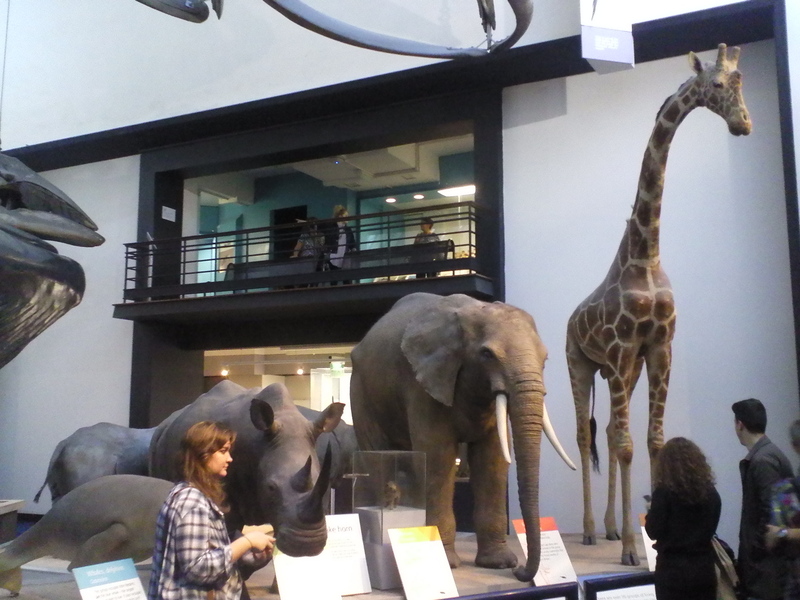 The Natural History Museum is free! Unfortunately, I visited later than planned and only an hour and a half before closing time and so did a whirlwind tour of the exhibits across the variously coloured zones; weaving around parents and their wonder-rooted offspring while eye-skimming taxidermy displays and fossil, gem and mineral collections. 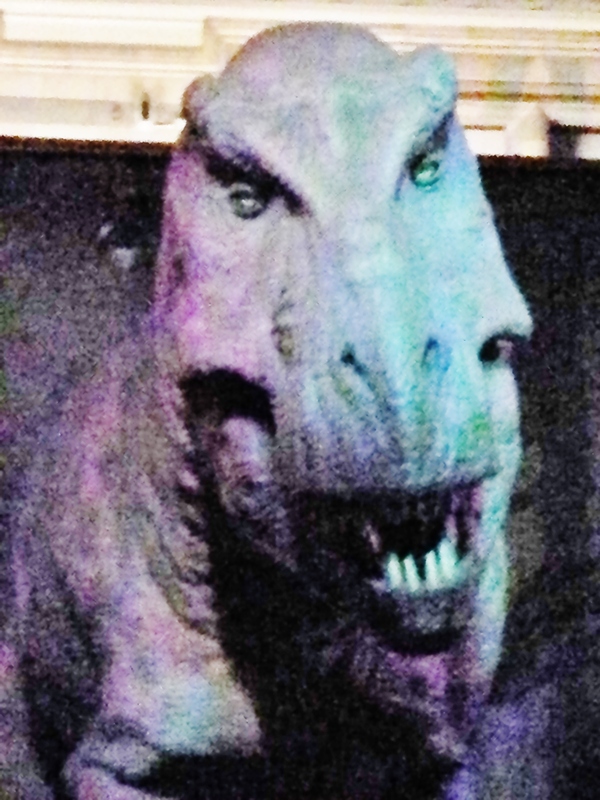 My hurricanesque momentum was eventually halted by a traffic jam at the elevated walkway of the popular dinosaur exhibit. 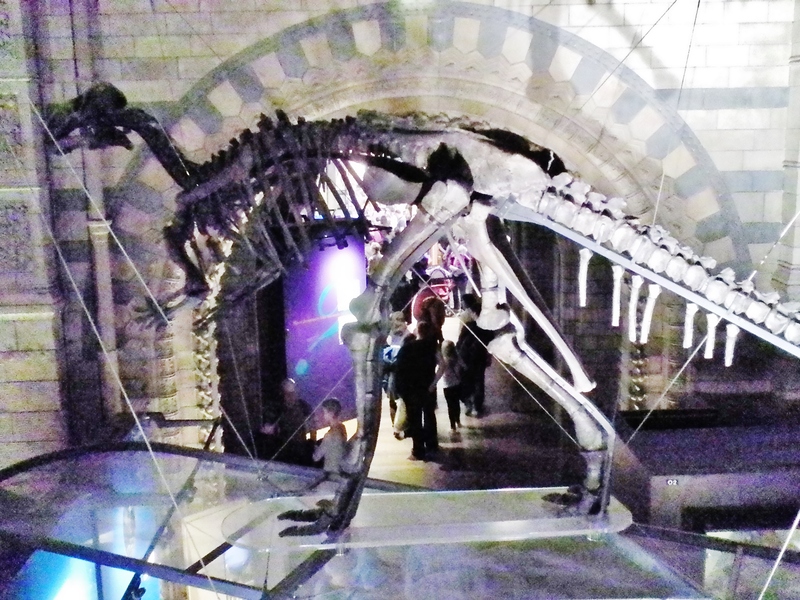 The walkway affords a Brachiosaurus’-eye’s view onto the installations below and allows spectators to ascend to be nearer to the various ceiling suspended dinosaur models and skeletons. 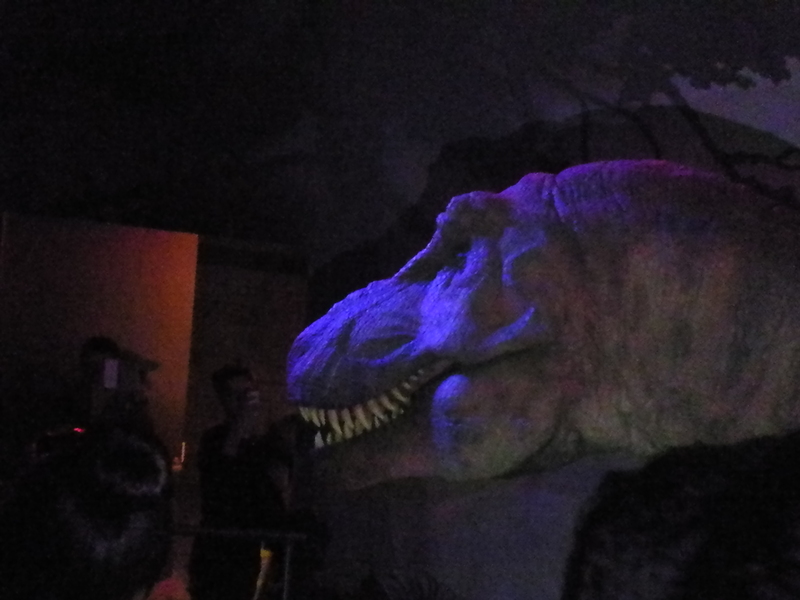 The walkway then descends and meanders into a dimly lit room inhabited by a life-size, animatronic T-Rex with a fearsomely toothed mouth that opens wide as a precursor to emitting mighty roaring sounds. 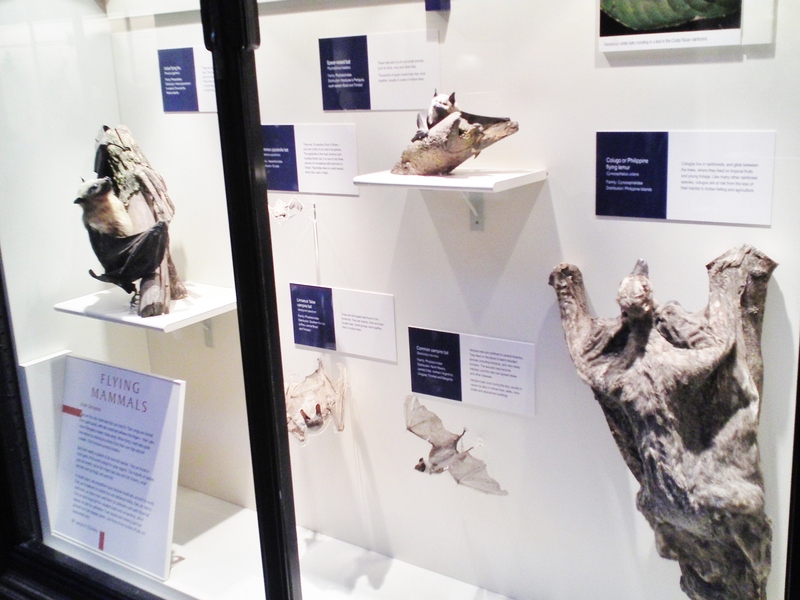 Next, I visited a creepy crawly installation and the earthquake and volcano exhibit. Eventually, I landed in a Noah’s ark type space populated with large stuffed mammals – elephants, giraffes, rhinos, etc. 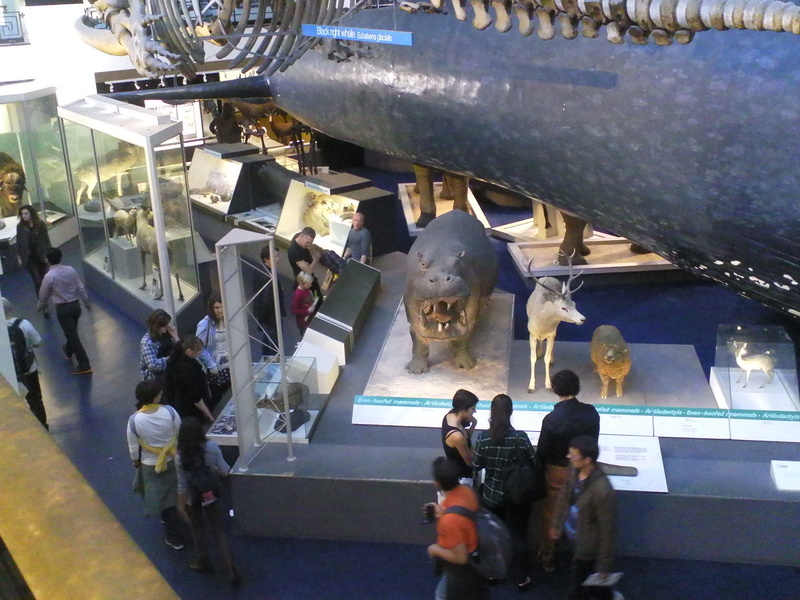 ; all on display beneath a suspended, life-size model of a blue whale. By this time the museum closed and invigilators began herding everyone towards the exits. I explained to some of them about my project and was sent by Esma to speak to anyone at the main Quad at UCL. Esma studies English and Literature there. She advised me to put a brochure of the museum on the montage.